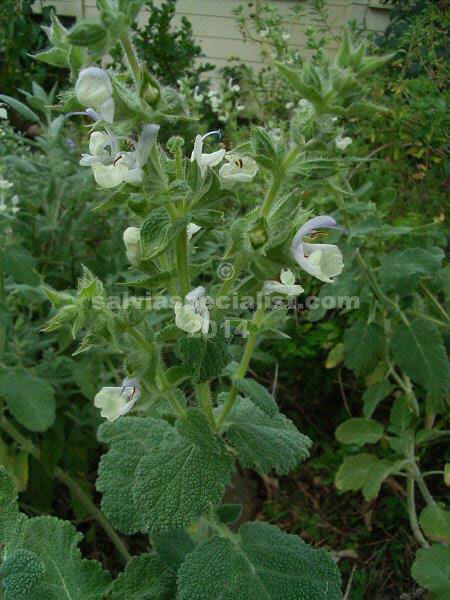 This salvia is native to Sardinia. 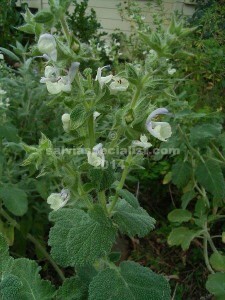 It is a shrubby plant about a metre square with large greyish furry leaves very suitable for drought and cold. Mainly spring flowers have a mauve hood and white bottom lip. Some stems could be pruned out after flowering. It can be propagated by cuttings or seed.